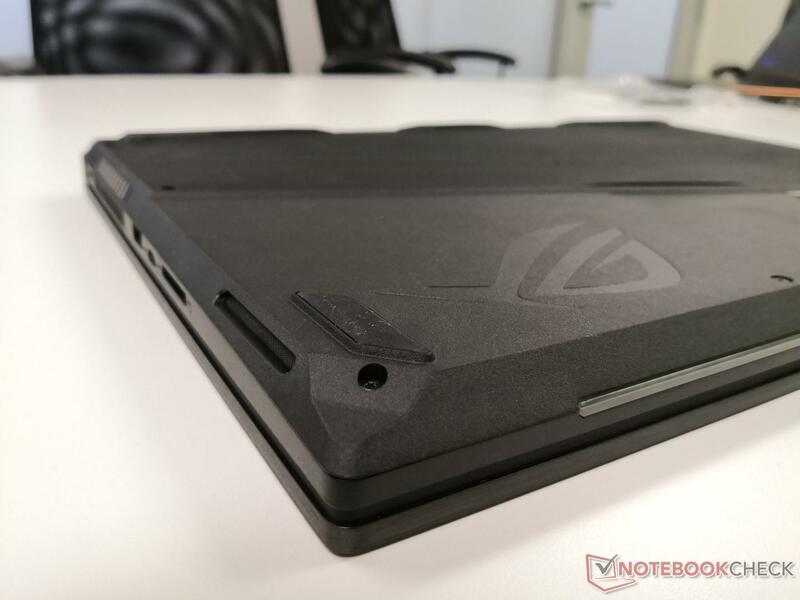 There have been no notebooks with both narrow bezels and 144 Hz panels until now. 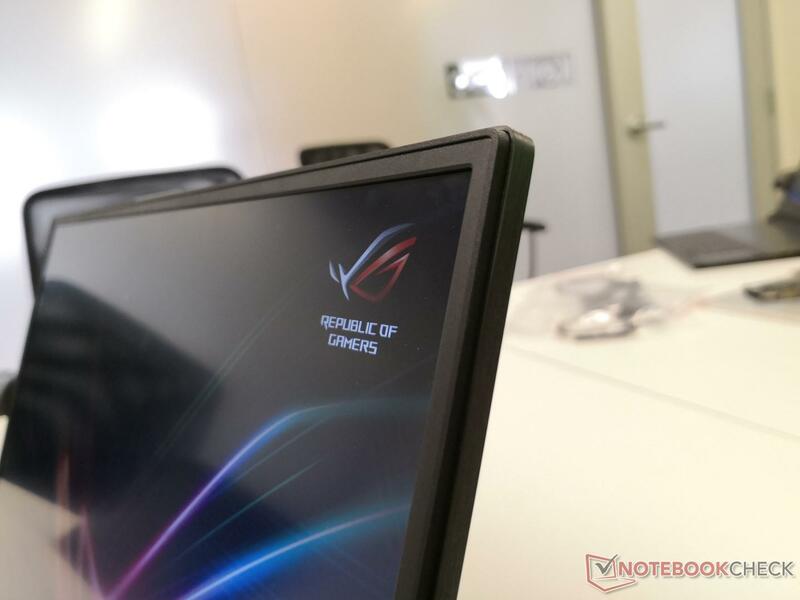 Asus has teamed up with AU Optronics to develop a 17.3-inch 144 Hz/3 ms panel made specifically for gaming and the narrow-bezel GL704 will be the first to use it. Laptops with narrow bezels have been around for a few years now, but they have all been 15 inches or smaller in screen size due to production limitations from panel manufacturers. 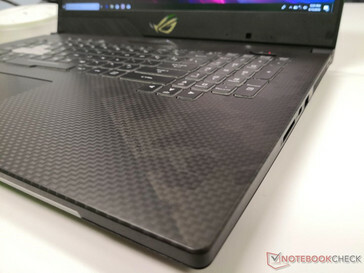 While 15-inch gaming laptops are getting lighter and sexier, their 17-inch counterparts have been chugging along with thick and unsightly bezels. Fortunately, Asus will be changing all this soon with the 17.3-inch ROG GL704GM. 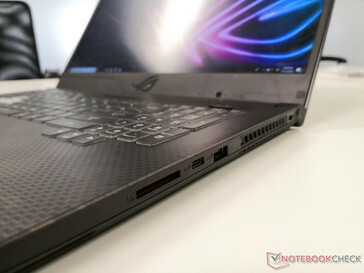 The GL704GM succeeds the older GL703 and it is essentially the 17-inch version of the 15-inch ROG Strix Scar II GL504. Its bezels are just 7.05 mm thick on three sides to be 40 percent thinner than on the GL703 without sacrificing display quality. In fact, the GL704GM is the first 17-inch notebook we know of to carry a 1080p 144 Hz IPS panel with a fast 3 ms gray-to-gray response time. Something to keep in mind is that the GL704GM will be limited to GTX 1060 graphics even though Asus says the chassis was designed to support "GTX 1070-class" graphics. 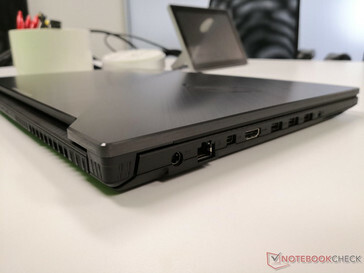 It's likely that the GL704GM will be accompanied by a "GL704GS" or equivalent SKU in the future with GTX 1070 or even GTX 1170/2070 Turing options. Until then, however, the GTX 1060 will be the only GPU available at launch. 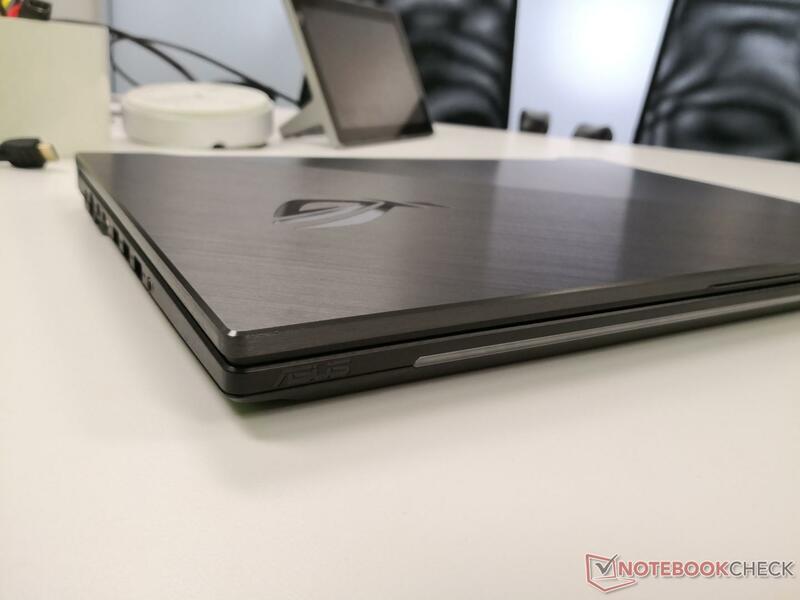 Asus is keeping quiet on the prices of the GL704GM, but we can expect it to become available by this upcoming September alongside the Zephyrus GX531. Both it and the Zephyrus will be at Gamescom and IFA for visitors to check out. 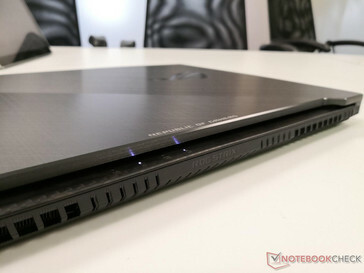 Since there are no other narrow-bezel 17-inch gaming laptops at the time of writing, the GL704 currently has no direct competitors. 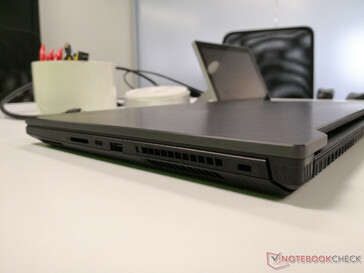 Keep an eye out for our review of the 15-inch GL504 coming soon as the 17-inch GL704 shares the same design language. Fremont, Calif., August 16, 2018 — ASUS Republic of Gamers (ROG) today announced Strix SCAR II (GL704), the latest 17.3-inch addition to the ROG Strix gaming laptop lineup. 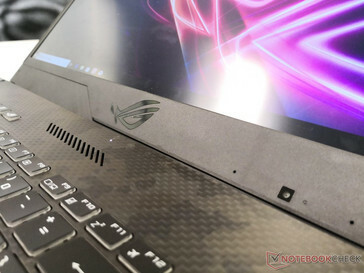 Strix SCAR II puts an industry-leading 17.3-inch display — with a 144Hz refresh rate, 3ms response time, and complete sRGB coverage — into a 15.7-inch chassis, delivering immersive visuals while allowing for greater mobility. 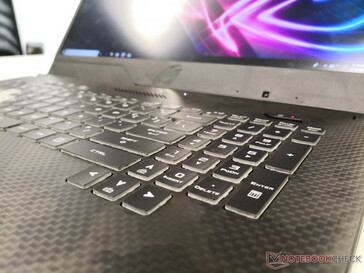 Strix SCAR II GL704 is equipped with powerful components and innovative features including the latest 8th Generation Intel® processors — up to Core™ i7-8750H — and an NVIDIA® GeForce® GTX 1060 GPU with 6GB of video RAM. 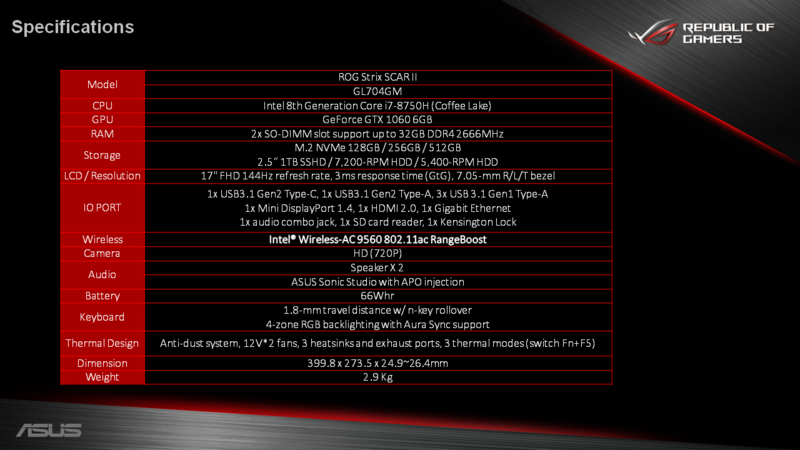 Strix SCAR II also includes ROG RangeBoost technology, which intelligently utilizes additional antennas to extend Wi-Fi range. The HyperCool Pro cooling system incorporates three heatsinks and two fans, ensuring optimal system performance. The durable camouflage and Kevlar textures adorning the chassis take their design inspiration from first person shooter (FPS) games. 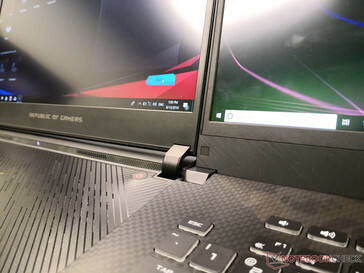 At Computex 2018, ROG set a new standard for gaming laptops by framing an ultrafast display panel with super-narrow bezels in the 15.6-inch versions of Strix SCAR II and Hero II (GL504). 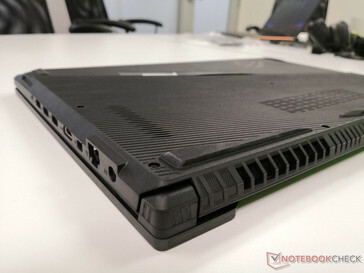 Strix SCAR II (GL704) continues this trend, and is the first 17.3-inch laptop under 400 mm wide, a feat made possible by the super-narrow bezels surrounding the display on three sides. The 7.05mm borders are up to 50% narrower than those found on other 17-inch gaming laptops on the market. ROG worked closely with panel maker AUO to ensure that ROG gaming laptops consistently offer class-leading displays that balance blazing speed with beautiful picture quality. 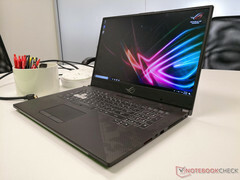 Utilizing AUO’s IPS-type AHVA technology, the 15.6-inch GL504 was able to achieve 144Hz refresh rates and 3ms response time in a thin-bezel format — more than double the speed of conventional laptop displays. And with GL704, ASUS and AUO have achieved the same 144Hz refresh rate and 3ms response time on a 17.3-inch display, allowing for crisp visuals and more immersive gaming. Additionally, the full sRGB color gamut ensures that the screen can show a full range of vivid colors, so games look as good as the developers intended. Externally, Strix SCAR II is designed with FPS gaming in mind, with contrasting Kevlar and camouflage textures created with an eight-stage IMR process. A hairline finish brushes across the Gun Metal lid, while the copper cooling fins provide flashes of color through the vents. The keyboard on Strix SCAR II has a desktop-style layout, with a wider space bar and separated blocks of function keys to make shortcuts easier to execute. The keyboard’s switches are rated for 20 million key presses, and Overstroke technology allows them to fire halfway through the 1.8mm key travel for a faster response than traditional designs that actuate lower in the stroke. 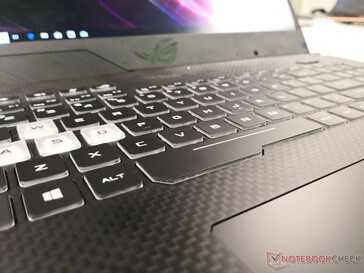 These features ensure that the Strix SCAR II keyboard retains a comfortable typing feel for years to come. In addition to up to six cores and 12 threads in the powerhouse Intel Core i7-8750H and the gaming prowess of the NVIDIA GeForce GTX 1060, Strix SCAR II comes loaded with features that provide a versatile and complete gaming experience. Intel’s latest 802.11ac Wave 2 Wi-Fi uses faster frequencies for link speeds up to 1.73Gbps with compatible routers, so now the wireless connection can download games and updates as quickly as a wired one. 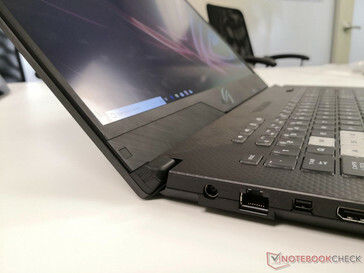 Strix SCAR II sports four USB Type-A ports, a reversible USB Type-C™ (USB-C™) port, a Mini DisplayPort connection that supports G-SYNC gaming monitors, and an HDMI 2.0 port that can drive 4K UHD monitors and big-screen TVs at 60Hz. Internal storage is split between a speedy M.2 NVMe® SSD that loads games and applications in the blink of an eye, plus an optional secondary 1TB solid-state hybrid drive (SSHD) for that growing collection of games. The speakers are powered by smart amplifier technology that lets users turn up the volume without fear of blowing the voice coils. Laptops have limited space to dissipate heat, so ASUS devoted significant effort into cutting-edge cooling. The HyperCool Pro cooling system spreads across three heatsinks and two fans. One heatsink is linked exclusively to the GPU to handle the additional heat produced by typical gaming loads. 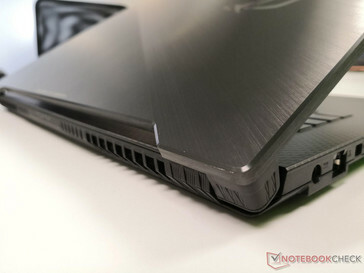 The other two are shared to ensure optimal cooling performance with a wide range of scenarios, including situations where the CPU is doing most of the work. Each heatsink is lined with incredibly thin copper fins that enables more fins, giving increased surface area for heat dissipation while at the same time reducing resistance to airflow. Patented trapezoid cuts in the lid ensure that the flow of warm air out the exhaust vents at the back is not impeded. 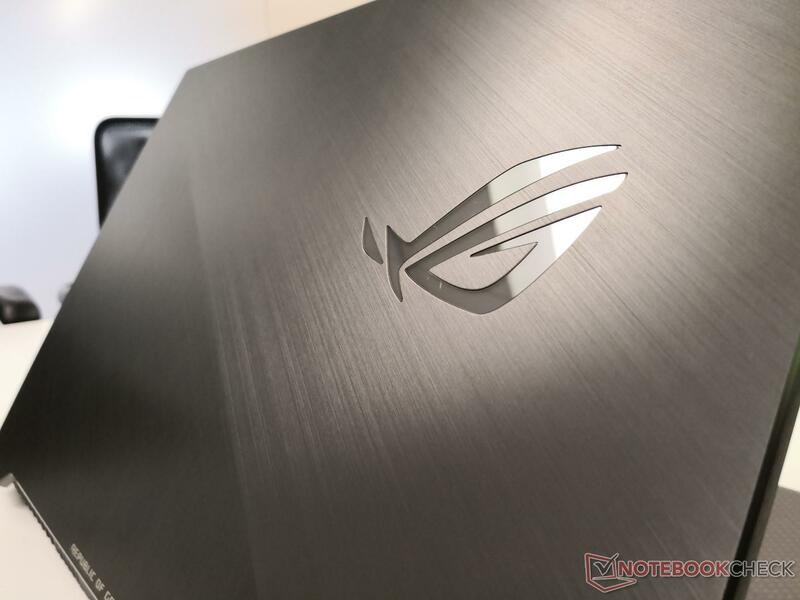 After years of separate utilities for ROG systems and components, ASUS is introducing a unified platform that puts the most important settings at gamers' fingertips. Armoury Crate currently covers system settings and Aura Sync lighting, and users can save changes to one of four profiles that automatically load their preferences for specific games and applications. The companion Mobile Dashboard extends the interface to Android™ and iOS devices, allowing remote monitoring and adjustment without alt-tabbing away from games. Armoury Crate has five different system profiles with different performance and acoustic targets. Turbo mode is best for serious gaming, Silent mode cuts noise output for watching movies or surfing the web, and Balanced mode occupies a middle ground between the two. There’s also a default Windows fan settings mode and a manual mode to allow users to make their own adjustments. Modes can also be toggled on-the-fly without ever leaving the game by hitting Fn + F5 to cycle through the options.